Kinda mashup in style, but a bit more effort has gone into these than lots of other re-edits of classics. Even so, I'm no fan of the b-sides, which are tributes to The Prodigy and 70s reggae act Aswad. A-side is great though, solid peak time party stuff. 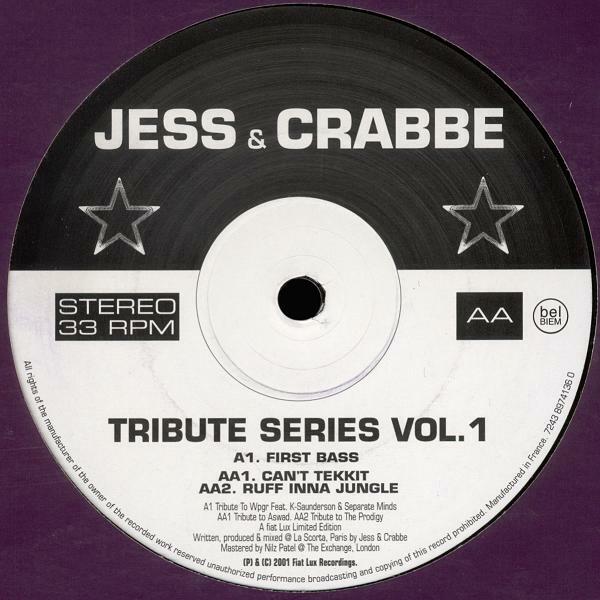 It fuses Kevin Saunderson's acid house remix of "Heat It Up", and Marc Kinchen's "1st Bass" (which also sampled Heat It Up's 'It's like that' chant). For those of you who don't already know, the main melody for "1st Bass" is taken from the 1987 Konami computer game, Metal Gear. Kinchen took just one little sound as a sample, and replayed it as a tune. You can hear the original here, at 26 seconds in or so. Goes to show what a little bit of inspiration can do. 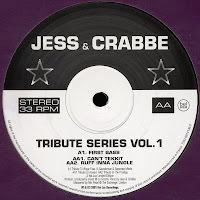 Jess & Crabbe either got hold of an acapella or made their own - I've searched the net and only come up with a little grab of the girls rapping - if anyone knows of the full deal I'd love a copy. Vinyl Rip _ 320kbps MP3 ...dmca deleted. Funny, my first dmca-notice is for a release that is essentially 3 mashups and so a compilation of other people's efforts, not their own. Not only that, but as far as I can tell from Beatport & Juno, this release is no longer available.